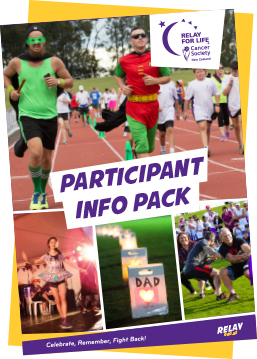 Download our handy 'Participants Pack' for all you need to know about taking part in Relay For Life 2019. It includes event information, the best ways to plan your fundraising and great advice on becoming a Relay For Life - Superhero! An excellent event for your school to become involved in because you can shape your participation to best suit your students and staff. 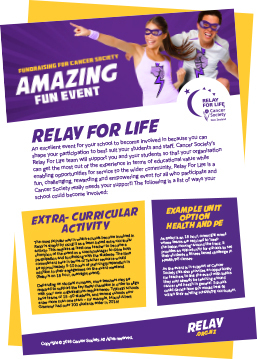 The most popular way in which schools become involved in Relay For Life is simply by using it as a team based extra-curricular activity. Download the fact sheet for more information.